I mean this in the least weird way possible, but I love baby bumps! It’s more about the fact that a brand new little one will be here soon that I love. Because y’all, babies! Audra and Travis will be welcoming their precious baby boy in a few short weeks. I just know he is going to be loved immensely, he’s going to have a wonderful future full of hunting and fishing with his momma and daddy and I’m sure some amazing adventures. It’s safe to say that Audra and Travis will be wonderful parents and baby G will never be short on love from all the amazing support his parents have. 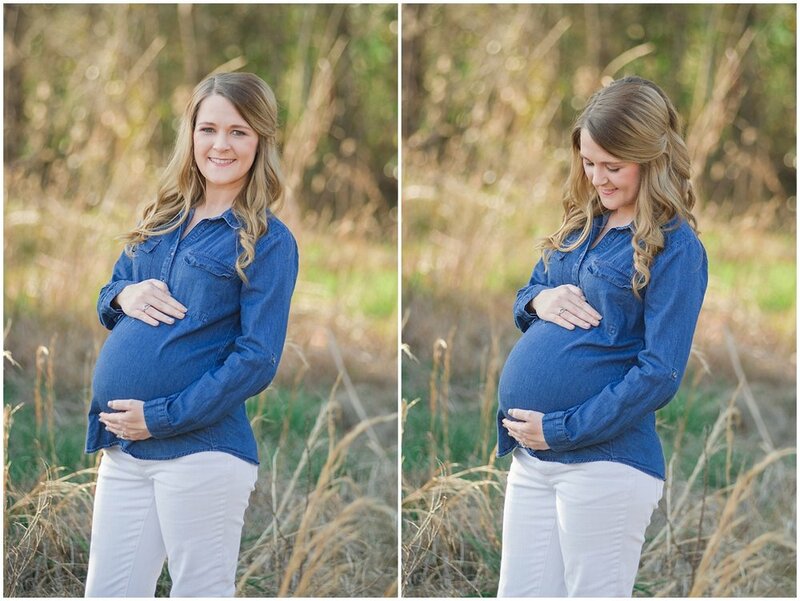 Audra and I talked a lot about her maternity session prior to. We knew we wanted outdoor and woodsy. I thought Audra would be perfect for a maternity gown. 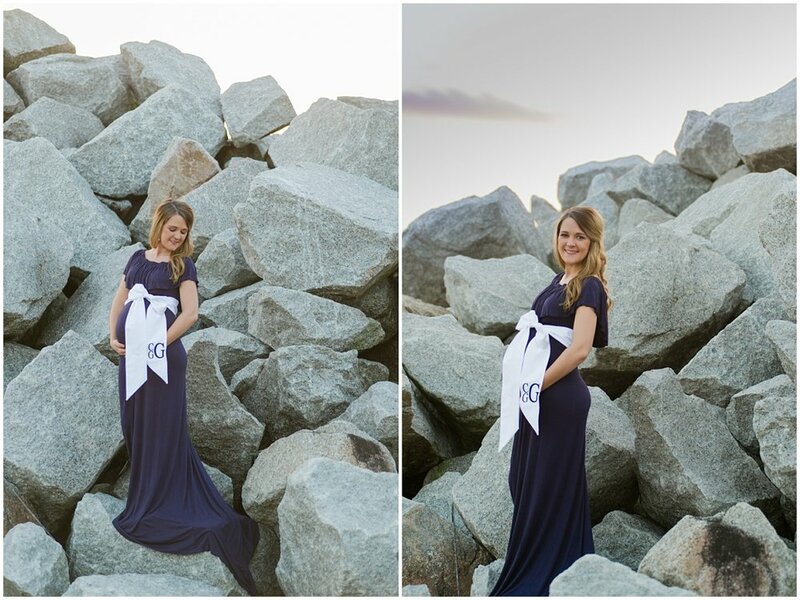 She chose this beautiful slate navy gown and it might be one of my favorites that I own! 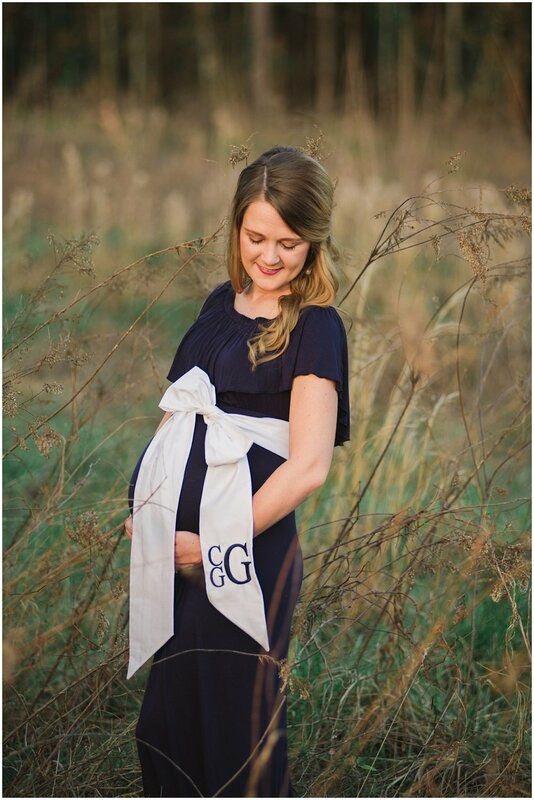 We incorporated a beautiful hand sewn sash with baby G’s monogram from the Mooing Elephant in Manning, South Carolina. 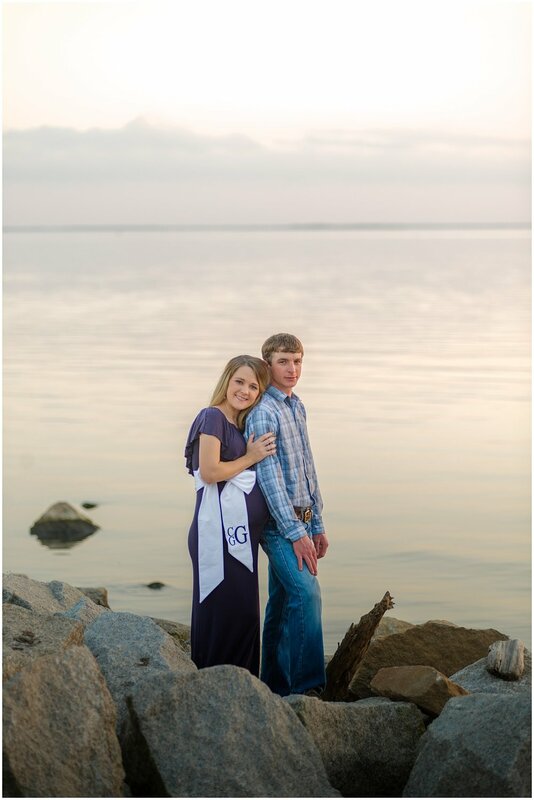 We ventured around Manning for their session and I’m so glad they both were more than willing to take me up on a few crazy ideas; especially walking through briar beds and waist tall weeds. I’m looking forward to baby’s appearance soon! Keep an eye out for his Fresh 48 session! And, in the meantime, leave these new parents to be some words of wisdom and advice for preparing for baby!